Good Looks Eyewear has added the Persol line to our already impressive selection of high end eyewear. The Persol ophthalmic glasses and Persol sunglasses are part of our Exclusive Collection. 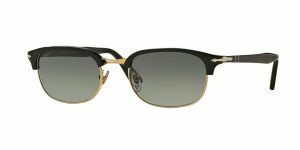 With unique design and timeless style, Persol’s incredible line of frames have stood the test of time since 1917 and continue to grow as a company, as well as premier eyewear brand. Good Looks Eyewear has also added Hackett eyewear to our designer brands collection. 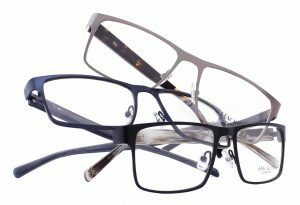 The men’s ophthalmic collection deems itself as classy and sophisticated. The design and look of their unique frames concede to timeless and fully embrace the classic aesthetic. Good Looks Eyewear is honored to be the only optical retailer in Western Pennsylvania to carry the Vera Wang Salon collection. Our exclusive collection grows once again with the addition of this iconic line. Vera Wang has been at the hilt of high-end fashion since 2002. Her unique ideas and styles of her one-of-a-kind bridal dresses are worked into her Vera Wang Salon Eyewear. This collection literally has the same lace and same materials used to craft her dresses. Good Looks Eyewear carries Vera Wang Salon women’s ophthalmic glasses and Vera Wang Salon sunglasses. Contact Good Looks Eyewear Pittsburgh or Good Looks Eyewear Cranberry for more information on how you can purchase your Hackett glasses, Persol glasses, Persol sunglasses, Vera Wang Salon glasses, or Vera Wang Salon sunglasses.